German security research firm the AV-TEST Institute has been keeping a registry of every form of malware that cybercriminals have dreamt up since 1984. Over the last five years, their research shows that the number of malware variants has increased from around 100,000,000 types of malware registered in 2012, to nearly 700,000,000 malware variants today. In fact, AV-Test registers about 390,000 different types of malware every single day. Tolar Systems Complete Care managed services include a full spectrum of layered security to protect every device and user on your systems. In the tech world, we call all the different methods hackers can use to introduce malware onto your network and data “attack surfaces.” It’s critical to reduce these to make it more difficult to introduce malware onto your systems. Think of every device, application and action you allow on your system as a potential entry point, kind of like a border stop. By reducing the number of devices, users, and applications on your system, you can close off these potential inroads and prevent introduction of malware onto your system. One of the most common ways that hackers and cybercriminals can introduce malware onto a system that would otherwise be protected is when you fall behind on application updates and security patches. Malware and virus threats are constantly evolving, requiring software and hardware manufacturers to update their products frequently. Protect yourself from malware by making sure that updates and patches are applied as soon as they are available to hardware, software and operating systems. Don’t forget your mobile devices and web browsers! File sharing from authorized and secure sources like Sharepoint is important for collaborating with customers, partners and team members. However, unauthorized file sharing – whether on unsecure applications like Google Drive, Dropbox or on peer-to-peer (P2P) file sharing networks like BitTorrent – is one of the most common ways that malware can be introduced into your network. Protect your system by blocking access to all P2P file sharing applications and networks while using company networks or devices; provide secure alternatives like Sharepoint instead. If you’re one of the many businesses working with freelancers or outside vendors, you may be tempted to provide these partners with save and access files on your network via network shares or mapped network drives. 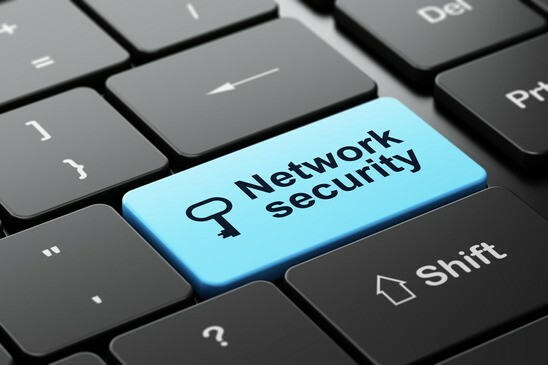 Unfortunately, this can allow malware to spread like wildfire throughout your network. We recommend limiting this type of network sharing to only those partners or vendors that really need access to your network. There are better ways – such as using Sharepoint – to enable collaboration. Preventing the spread of malware and keeping your business networks and data secure from cybercriminals is one of the most important benefits of working with a managed services provider like Tolar Systems that specializes in network and data security. Contact us today to learn more about how our offerings like Complete Care can keep your business safe from malware. Contact us today!